Warner Bros. and Ellen DeGeneres’ A Very Good Production have released the first look at Sophia Lillis (It) as young detective Nancy Drew in Nancy Drew and the Hidden Staircase. Additonally, the full cast for the film has also been revealed along with the photo. 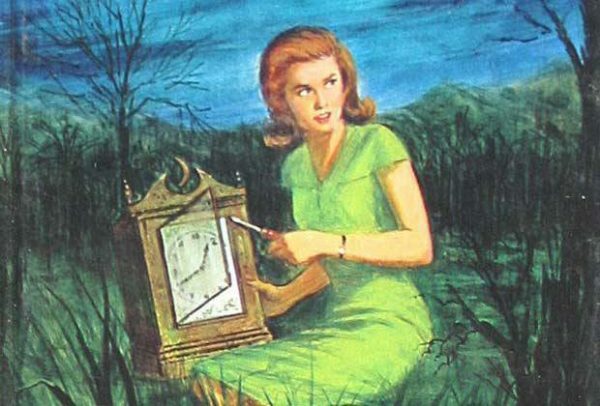 Nancy Drew and the Hidden Staircase will follow Nancy Drew, a smart high schooler with a penchant for keen observation and deduction, who stumbles upon the haunting of a local home. A bit of an outsider struggling to fit into her new surroundings, Nancy and her pals set out to solve the mystery, make new friends, and establish their place in the community. Starring alongside Lillis is Zoe Renee (The Quad) and Mackenzie Graham (The Purge) as Nancy Drew’s core BFFs, George and Bess, respectively. Laura Slade Wiggins (Shameless) portrays Helen, a high school mean girl who reluctantly joins forces with Nancy to help solve the mystery. Sam Trammell (True Blood) will portray Nancy’s father, Carson, with Linda Lavin (Alice) as Flora, the owner of the haunted house, and Andrea Anders (The Stepford Wives) starring as Nancy’s Aunt Hannah. Also starring in the film is Jay DeVon Johnson (Vice Principals), Andrew Matthew Welch (Ma), Jon Briddell (The Resident), Josh Daugherty (We Were Soldiers), Evan Castelloe (Queen Sugar) and Jesse C. Boyd (Hap and Leonard). Katt Shea (The Rage: Carrie 2) will direct the film from a script written by Nina Fiore and John Herrera (The Handmaid’s Tale). Ellen DeGeneres, Jeff Kleeman and Chip Diggins will serve as producers on the film.